Polish police used tear gas and a water cannon Saturday against right-wing extremists who were trying to block the first equality parade in the city of Lublin in eastern Poland. More than 1,000 lesbian, gay, bisexual and transgender rights activists with rainbow-colored flags and banners gathered Saturday in Lublin for the parade, while around 300 right-wing opponents stood in the march's way. 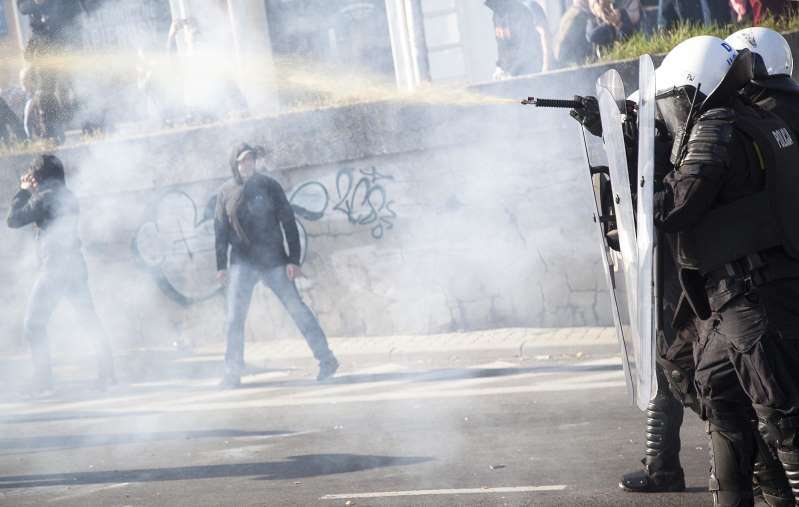 Police used tear gas, concussion grenades andhigh-pressured water to disperse them. The right-wing protesters pelted police with stones and dispersed, but some small groups tried to get through the police cordon that was protecting the march. The march took place after Lublin's Court of Appeals on Friday overruled a ban by Mayor Krzysztof Zuk, who had cited security concerns as his reason for banning the parade.